Three days after the Supreme Court accused the Delhi’s Kejriwal government of attempting to initiate parallel proceedings on the issue of its ongoing tussle with the Lt Governor over sharing of powers, the AAP government today withdrew the suit on the subject. Informing the bench headed by Justice A K Sikri that it was withdrawing the suit, senior advocate and former ASG Indira Jaising who represented the Delhi government requested liberty to raise the same issues with the SLP which it has already filed “if the cause of action arose”. The bench allowed the plea. “We have filed six SLPs. Now we have taken a decision to withdraw the suit with liberty to raise the issues along with the SLP”, Jaising told the bench at the outset. 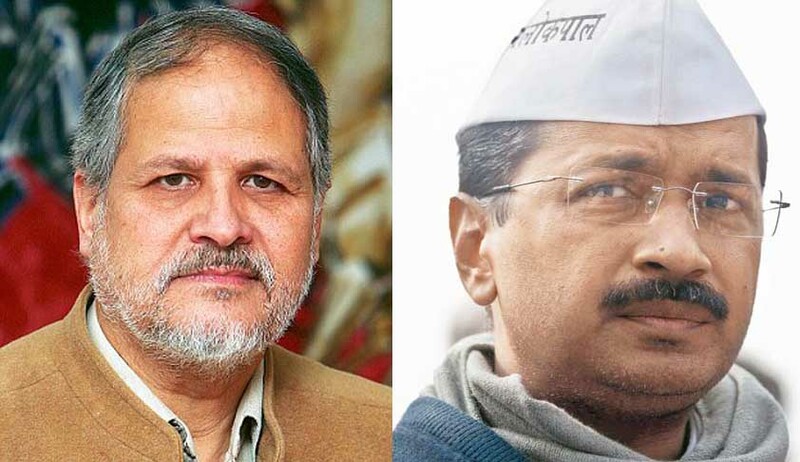 The rap had earlier come when the government insisted on hearing of the pending suit while it is set to file an appeal against the Delhi High Court order which had ruled that LG was the administrative head of the capital and was not bound by the aid and advice of the chief minister or council of ministers. A bench of Justice A K Sikri and justice N V Ramana had on August 29 asked the government why it was not withdrawing the suit when it had decided to file an SLP against HC order soon. Delhi government counsel then urged some more time for filing the SLP and sought adjournment of the suit hearing which was granted. The next hearing will be coming Friday. Even while its plea in Delhi High Court was pending, Delhi government moved the apex court under a rarely invoked provision - Article 131 of the Constitution - which vests exclusive jurisdiction with the Supreme Court over disputes between states of the Union and between the Union and its states. Jaising had earlier said the government was keeping the petition live as the primary question they want the apex court to answer is whether the dispute between AAP-Centre was a federal dispute coming under Article 131 of the Constitution. She went on to contend that the HC order was “invalid” as under article 131, only the apex court had the jurisdiction to adjudicate disputes between Centre and a state. But it is to be noted that HC bench headed by Chief Justice G Rohini had dealt with this issue also. It dismissed the Delhi government's claim that this is a 'federal dispute', saying the political wrangle between the Centre and AAP government is only a tussle over “services” issues which does not attract Article 131 of the Constitution. The Kejriwal government in its appeal said HC verdict subverted the democratic governance structure put by a constitutional arrangement which recognises Delhi as a state with an elected assembly. The AAP said if an elected government did not have control over the mechanism to weed out corruption through the Anti-Corruption Branch (ACB), then its functioning would be ridiculed by the people who had given it the mandate to govern for five years. Kejriwal government said it was a settled constitutional principle that the figurative head of a state, like governor or LG, was bound by the decision of the council of ministers headed by the CM. But the HC chose to tread a new constitutional path and declared that the LG had the discretion whether or not to heed the council of ministers.